Why are people always discussing the IoT? Why is IoT called the ‘extension of the internet’? Over the past 20 years, the human race has experienced three big tides. From the earliest Internet-enabled PC to the iPhone that brought the mobile market into the Internet in 2007, today in the open era, IoT is being called connection 3.0. The essence of the IoT is Data Flow; through the flow of data, information has achieved the most efficient interaction between operator, customer, and product. In the open era is committed to transforming IoT into an intelligent platform for the exchange of information between people and their internet-enabled products. To take an example of the vast potential of IoT, let us look at the logistics enterprise; they use the small label to enable a package’s data to float online to both the company and the customer; this enables the company to efficiently track and manage and transmit cloud data in the IoT. The status of the IoT development Market and getting ahead of the curve in IoT Technology. Through market research, we found that Arduino users who are proactive in the development sector often are unfamiliar with the latest cloud services and technology. The etymologies of cloud concept and cloud services involved are too complicated, which hinders people from imagining their product’s true potential and application. Moreover, for software developers, open-source hardware is so hard to find that it is impossible for them to enter this field in a short time. 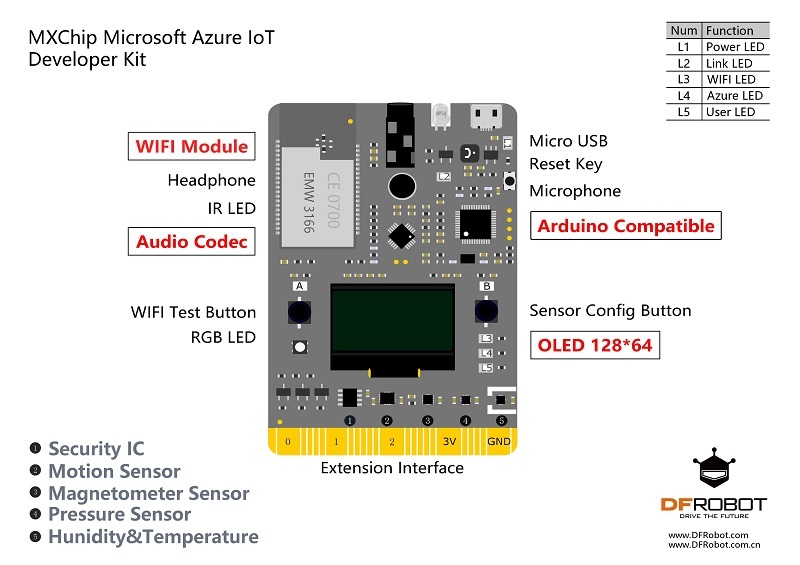 To address all these concerns, we have conceived the Azure IoT development kit. 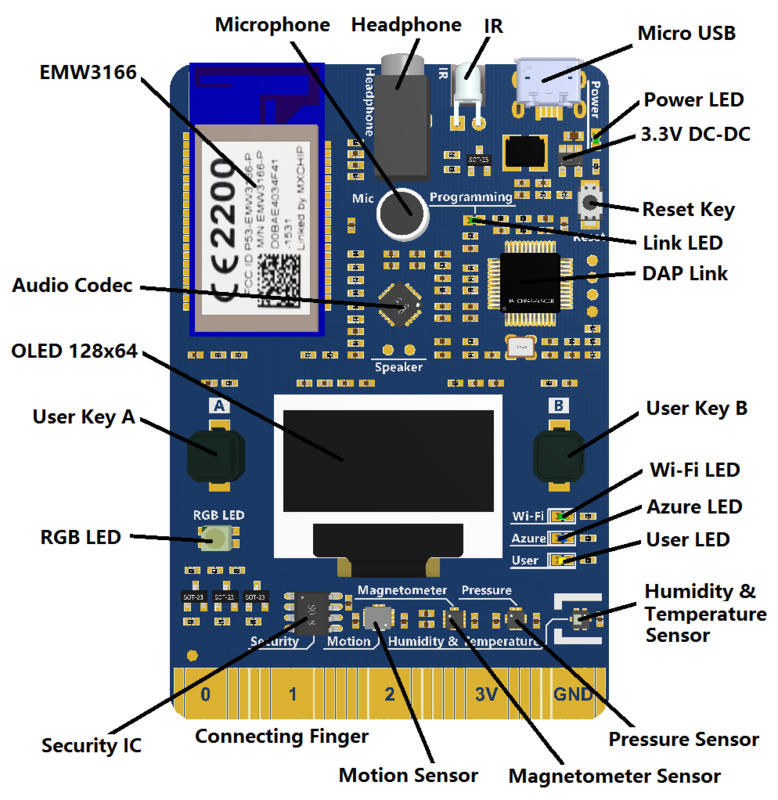 In order to provide a convenient, high quality and out-of-the-box solution equipped with the latest Microsoft cloud services to Arduino developers and IoT practitioners, we have developed this finished product which is integrated with the most commonly used sensors has is also capable of sensing further interfaces. In order to optimize the developer experience, further enrich software resources, and provide extensive hardware compatibility, we also expanded the Arduino development programming plugin on the Visual Studio Code editor. Largely, we inherited the Arduino developer’s software library but at the same time, we provide more software and service resources to the IoT developers. We sincerely hope to work with creative partners who are currently in the forefront in the next era like IoT practitioners, enthusiasts, and teachers. 2. Tutorials and demos for building your first cloud connected application. 4. Rich onboard sensing technologies, including motion, pressure, magnetometer, humidity & temperature sensors with a microphone. 5. Integrates security encryption chip for the latest security-protection.